Saints Row IV is an open world murderbox full of entertaining, mindless distractions which are better enjoyed with a friend. It features two player co-op via online connection or system link. There's always a few extra co-op details to work out in a game like this so we made this handy Co-Op FAQ. The co-op works the same as in Saints Row: The Third. If you're familiar with that title, you know what you're getting into. How many players can play Saints Row IV locally (couch co-op)? How many players can play Saints Row IV via system link or LAN? How many players can play Saints Row IV online? How do you begin a co-op session in Saints Row IV? How does save game progress work for co-op play in Saints Row IV? Can I join a game if the host is further along than me in Saints Row IV? Do I need an online pass to play online and/or system link? Local co-op (couch/splitscreen) is not available in Saints Row IV. 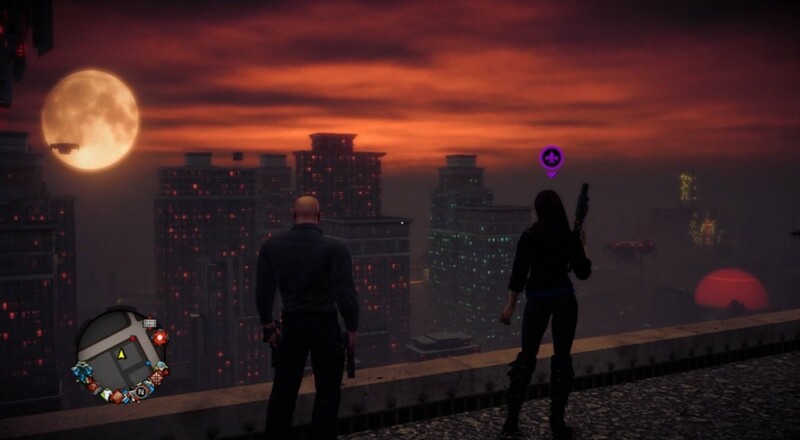 Two players can play Saints Row IV online. A player can leave their game open to public matches for drop-in randoms. A player can invite a friend through the in-game menu at any time. A player can join a friend's game or random game at anytime. All currency, XP, story progress, side missions, quest rewards, and open world events are saved to each player's profile. If a player joins a game where the host is further along in the story the client player will earn and keep story completion rewards but not story progress. Yes. Each player will need an online pass to play online or through system link. Page created in 0.2970 seconds.